Fall isn't here yet, but it might as well be. The pool's been closed and the kids are back in class. The morning had a different feel with new early schedules and I'm already feeling more energy coming from the business side. As for the fall bringing better running weather, it looks like that will have to wait for the real fall. The morning was surprisingly busy. By the time I wrapped up my early work, a thunderstorm was moving through the area. If I was going to get a run in, it would have to be on the treadmill. It felt extremely humid and I was glad to have the big fan. I set the speed high from the start and hoped for the best. The first mile went by quickly, with little problem from either the heat or the pace. Pretty soon after that, the humidity started getting to me. My wife thoughtfully turned down the AC, but the heat was draining. I told myself, "Less than two miles to go" and focused on CNN to distract myself from the tedium. The trouble with the treadmill is that there's no place for subtlety in your pacing. You're locked in and unless you play with the speed controls, it's a monotonous experience. I thought I'd never reach my targeted "distance" but finally it came and I recovered with a tall glass of water and some dried apricots. I noticed the other day that they're high in potassium so I thought, why not? That seemed to work and now I have a nice alternative to gels for those long weekend runs. High in potassium, but also in sulfur compounds, specifically sulfites which can cause headaches in some people. 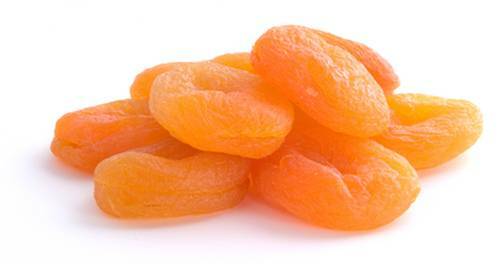 If you start getting headaches the apricots might be the culprit. Hmmm, never thought about that. So far no headaches though. Thanks.